An astounding opportunity to sample a high grade Iron Goddess tea in 3 combo packages boosting 9 artisanal varieties. Between 1996 to 1999, a Japanese scientists team traveled to China to select an oolong tea farm for import into Japan's health conscious society. The scientists took specimens of soils and leaves in various tea gardens and sent them back to Japan for chemical testing. After 3 long years, they finally concluded that Shen's oolong teas offer the highest nutritional value in the entire Anxi county, home of China's most famous oolong tea. Today, most of his tea is exported into Japan's highly regulated market and sold in more than 300 shops. It also won him a few gold medals along the way. This year, his tea garden will become only the fourth Iron Goddess tea garden in Anxi County to be certified fully organic. Every Chinese tea shop sells Iron Goddess oolong tea, but few sells the very high grade. Shen's tea garden is located in the mountainous region of Inner Anxi County. 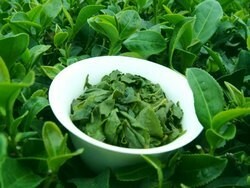 High grade Iron Goddess tea is known as the Iron Goddess Tea King or Tieguanyin Wang. To give you an idea of its rarity, Shen's tea garden produces 500 kilograms of Iron Goddess tea each year, of which only 20% is Iron Goddess King Tea, and only 5% is high grade Iron Goddess King Tea. High altitude. His Iron Goddess King grows at an altitude of 1,500 metes and above. Rare harvests. While oolong tea is usually harvested 4 to 5 times yearly, his King tea is only available twice a year in spring and autumn, when the most aromatic and flavorful oolongs are grown and produced. Optimum plant age. Older tea plants produce less flavorful brews. Iron goddess tea quality deteriorates rapidly after tea plants reach age 8. 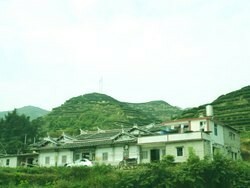 Unlike teas grown else in the Anxi county, his tea plants are aged 4 to 6 years, the optimum age for producing nutrition rich leaves. Traditional Handicraft. These high grade oolongs are hand harvested and handcrafted the time honored way. While Iron Goddess tea is famous for its orchid fragrance, the highest quality tea is prized also for its mouth flavors, which is usually described as penetrating (rui) and robust (zhuang). Penetration describes a distinctive floral note at the root of your tongue that moves up your nose. Robustness means the tea should be flavorful even after 5 to 9 infusions. It is not weak or limpy. Aromatic substances do not come out of a vacuum. They are the by-products of clear mountain air and nutrient-rich soil and water. A flavorful cup of oolong tea contains the full range of nutrients found in green and black teas: catechins, theanine, thearubigins, theaflavins and aromatic oils. In stark contrast, cheap oolong teas normally last 3 infusions, despite being spiked with oil extract to enhance their aromas. Robustness is important because it is a reliable quality indicator. Not to say it saves you money too!